Here we go again! Pre-pruning the vineyard 2017 has started and finished. 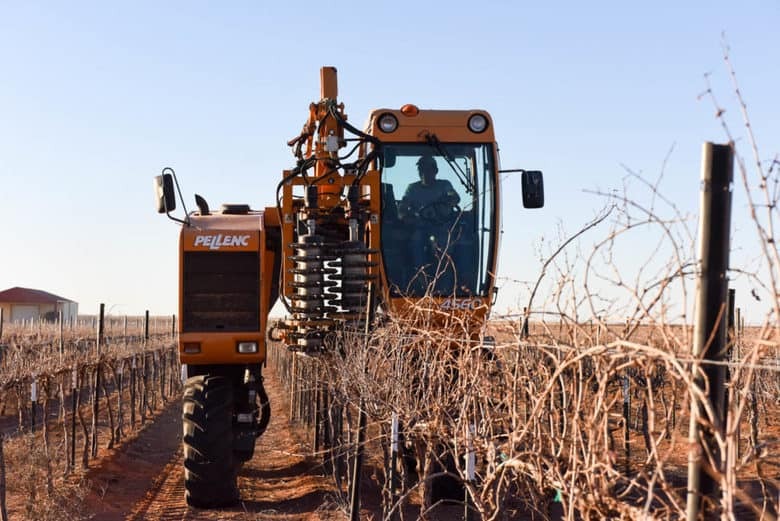 Using our Pellenc 4560 grape harvester with the pre-pruner attachment makes it quick and easy. Well, it still takes a week to do the 32 acres but for the amount of work done, that is nothing! The pre-pruner cuts the vines down to the desired height. It then removes and mulches the excess vine growth from the wires as it goes. We set it to cut leaving the canes about 4 – 6 inches long. You can see it on the front of the grape harvester in the photo below. The picking head is removed and stored in our barn. The pre-pruner fits on the front with counter weights on the back. 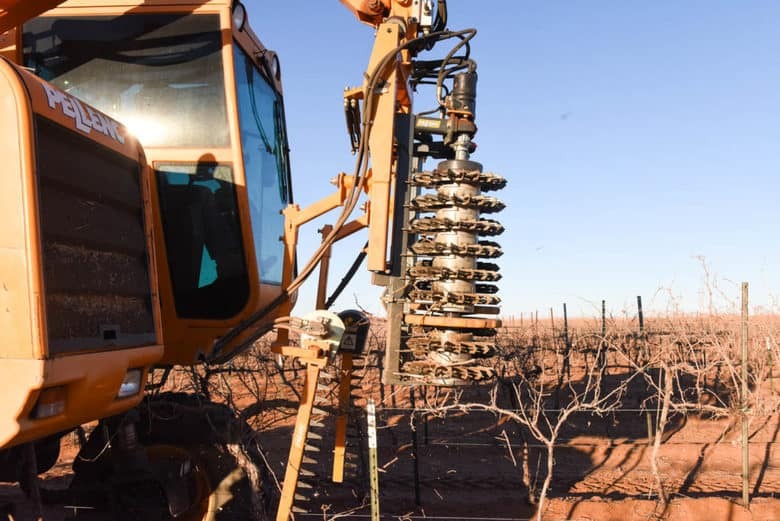 The Pellenc rides over the row of grapevines with the two stacks of cutting disks on either side of the posts and wires. The wires that hold the canopy of canes pass in between the cutting disks without being snipped. The Pellenc pre-pruner works like a set of hand clippers cutting through the vine wood rather than high speed saw blades. This gives very clean cuts that are easier on the vines. You definitely don’t want to get your fingers in the way! Below you can see a vine before pre-pruning with the canes of the vines going everywhere. 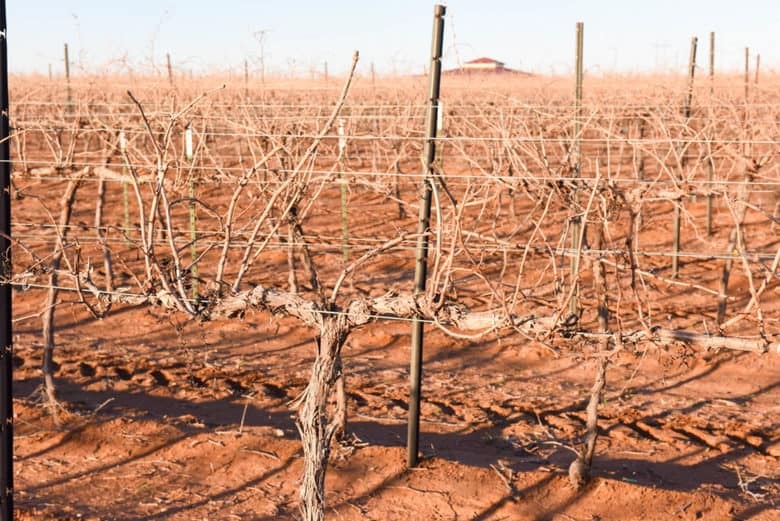 Now, you can see a vine after pre-pruning – much more controlled! 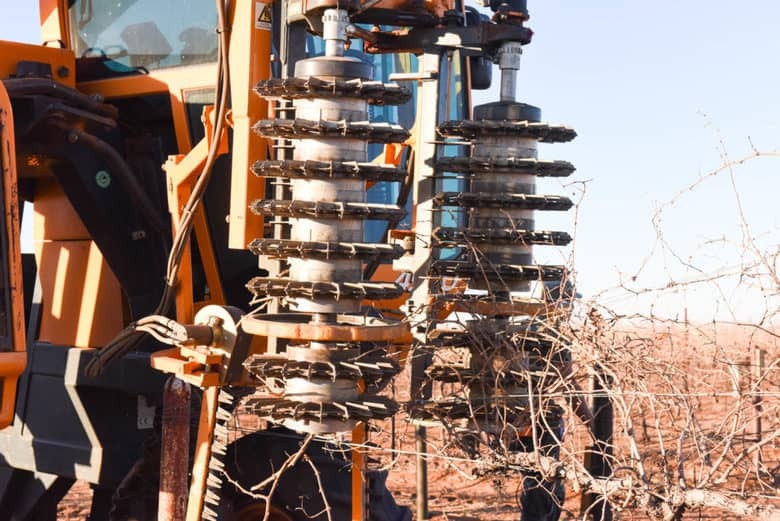 The pre-pruner cuts the vine pieces so small that they fall out of the vine and out of our way. Otherwise, we would have to pull all those old canes out by hand. This would really slows pruning down! It seems that just as quickly as it started, pre-pruning the vineyard 2017 is over! 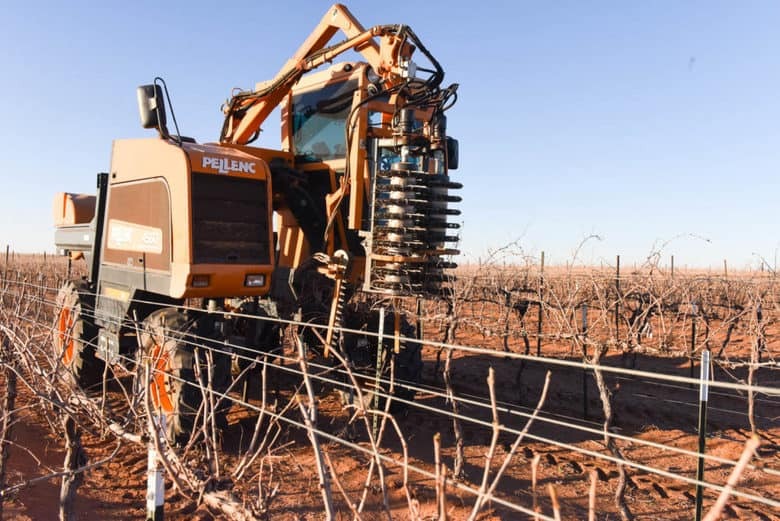 The next step is to come through the vineyard with our Pellenc Precision Pruner TRP. At this point, everything will be cut off to about 2 inches. Then, we will do the finish pruning by hand. With all the warm weather we have had, we are concerned about bud break happening too early. If they bud, and we have a freeze, it could kill the crop! 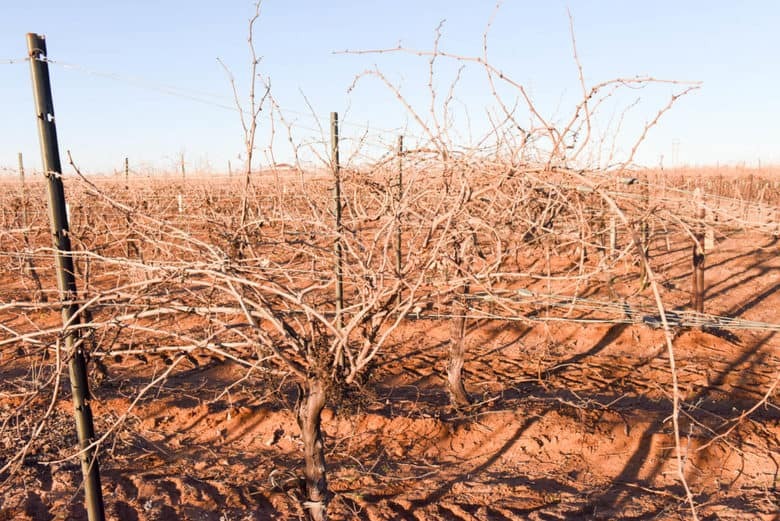 Pre-pruning, precision pruning and finally hand pruning will all work to delay bud break. I am thankful that we know who is in control of the weather and we are trusting Him to what is best for us and the vineyard! « Decks the Jersey Bull is Almost 3 Months Old! Thank you for posting the grape growing process. 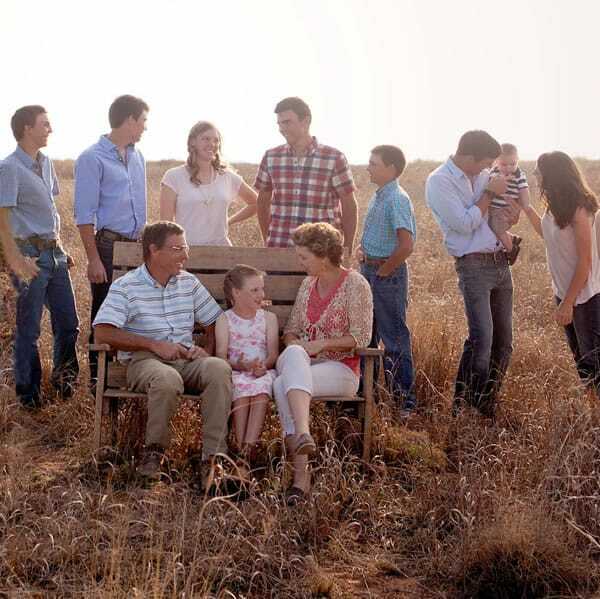 Sure do enjoy following your family and the grape growing process. I always try figure out if I can see your home being built as we drove west of Brownfield. Looks like your cold spell came through, so maybe the budding will work just fine. Thanks for the encouragement, Charlotte and you are welcome to stop by anytime you are out this way!